It’s Like You Get Paid to Bank Here. 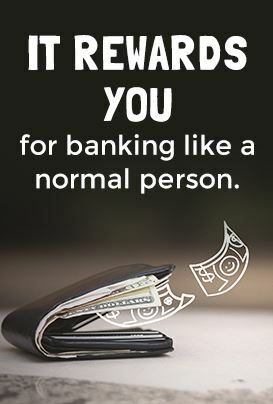 If you’ve ever had a monthly service fee on a checking account, Kasasa Cash Back® is here to make up for it. This free checking account actually pays you – and there’s never a monthly service fee to worry about. Earn 2.00% cash back on your everyday debit card purchases, with no category restrictions. * You’ll also get refunds on ATM withdrawal fees, nationwide – so you can get to your money when and where you need it. Add a free Kasasa Saver® to your account to simplify saving. Visit any of our convenient locations to open your accounts.